Last week, some of you were wondering why I didn’t cover some of the other things happening in the League Universe (Arcade, Ornn, etc.) – it was because I got all excited about the Star Guardians and URF and ended up writing a whole bunch about those, and I didn’t want the post to be like 3000 words. So I’m talking about them now! 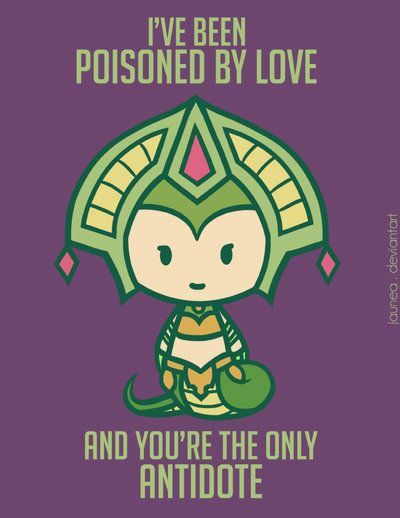 Cassiopeia – I didn’t like her much when I first played her, but now I kind of love her? I think that there are a lot of game mechanics that I didn’t understand back then that I ‘get’ now. Like, I can more easily see what combos you’re supposed to do with certain champions, for example. What changed my mind was that my boyfriend told me that people actually start with the E ability, not Q like I thought, and max it first. I also didn’t realize that it basically doesn’t have a cooldown. Once I realized that and that it does bonus damage to champions that have been poisoned with your Q or W, it was easy to see what her whole strategy is supposed to be. I also enjoy her death shriek. It’s even better than Lissandra’s. I think that I will bump Malzahar, who I was planning on purchasing next, down the list and get Cassiopeia next. Le Blanc – I had similar thoughts about her as I did Cassiopeia – however, I ended up liking Cass more because she felt different than other champions I play. Le Blanc felt more familiar. I was a bit disappointed when I figured out how her ult works though. I guess I though that it was cooler than it actually is – I thought that you could cast a clone of yourself literally anywhere and it would last for like a minute or something and do damage. But it is still cool. She’s on the list, but at the bottom because I think that I’m not ready to figure out how to make the best use of her ult yet. Poppy – I hated her so much, before. Having played her again, I’m not really sure why. Like, she’s not my thing, but I don’t dislike her any more than I would dislike any other melee champion. I think maybe I was just confused about how she worked. I’m not really sure how that could happen since she seemed quite straightforward this time around, but like I said, I think I’ve just gotten better at picking up on things and understanding more game terminology without realizing it. So yeah. She’s fine I guess. I still think her ult is hilarious, and I very much enjoy it when it happens to me in a game. Ekko – I love him. No, tect, he’s not ‘about to steal yo girl’, but I love him. Again, I feel like I just instantly ‘got’ what his combo is supposed to be, and I really like his Q. I like boomerang abilities, I guess. Heimerdinger – I wasn’t expecting to like him, but I kind of did. I think that he would be tough for me to play in PvP but he’s fun and less complicated than I was expecting. Using his R on his W is really satisfying. Actually, I think that’s probably the main reason why I like him. Shaco – I wasn’t expecting to like him, and I don’t! Surprise, surprise. His play style is definitely not something that I’m about. Months ago, before the secret was out, my boyfriend was telling me one day on the subway about a champion he hated – Shaco. He said that he didn’t like him because the way he works encourages and rewards negative behaviour. It depends how you play him, of course – sneaking up on someone in and of itself isn’t rude, and lots of other champions do that too. But it seems a lot of players use him to antagonize others. Also, by nature of how he’s designed, it doesn’t feel good to play against him. He literally stabs you in the back – which is part of his character, but as a player on the other team it feels mean even though the other person is just playing the game. 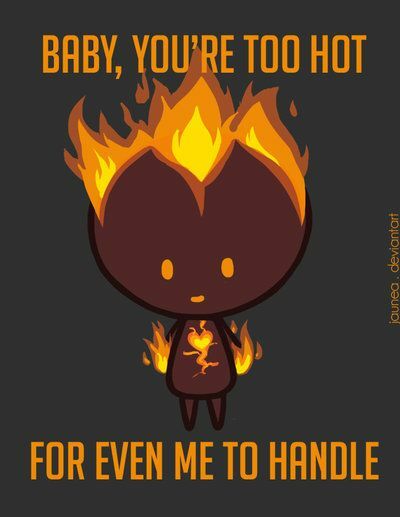 Something about him makes it feel meaner and more unfair when he sneaks up on you as opposed to, say, Evelynn or Twitch. Brand – Brand was one of the champions that I commented was probably meant for mid-lane, but isn’t played there because he’s not strong enough. That seems to have changed since then for whatever reason. I definitely felt like he was much stronger, and I’m not sure if it’s because he’s changed or because I have. The amount of damage he does if you land his abilities is almost unfair. I played him in a couple of ARAMs and I was just like ……O.o I very rarely have the experience of instantly killing and ‘deleting’ someone, but I did with him more than once. Irelia – Another champion that I strongly disliked initially but actually kind of like now. Again with the game mechanics – I didn’t really get her whole stun thing the first time around. And as tect pointed out, I like how her play style kind of changes a bit depending on the scenario. I still hate her stupid hat though. Can somebody please tell me if it serves some kind of practical or symbolic use? Because I’ve read her biography and got nothing except that her sword was animated. I thought maybe it could be that, but it is distinctly not sword-shaped, and she seems to also have that sword as a separate entity from the hat. Ornn – okay, I didn’t play him (obviously), but I still have thoughts. They’re not very deep or complex thoughts, but still. I’m pretty excited for him to come out because when new champions are released I always feel left out because I don’t have mountains of IP with which to buy them right away. But even though I can’t buy Ornn, I will still get to experience something new thanks to his item upgrading thing. One of the items he upgrades is Redemption, which I buy all the time and is the only active item I remember to actually use, so I’m excited for that. I also think his giant ram ability is really entertaining to watch. I’m also curious to see what positions he will end up being played in. My current thought is top and jungler. And…those are all my thoughts. I told you they weren’t deep. There were some other champions I played as well, but my opinion on them hasn’t changed since the last time I wrote about them so I’m excluding them for now. Aside from that, I played a bunch of ARAMs in which nothing that interesting happened, and I learned how to better play Syndra and Orianna (there will be a video of that next week). I gave URF another chance, mostly because I needed to complete the ‘Win 5 PvP games on Summoner’s Rift’ mission for Arcade, and the idea of playing normal games is terrifying to me. So terrifying that I put myself through a whole bunch of URFs, which took way longer to get those wins (because I’m so bad at it) than it probably would have if I DID do normals. Complete the mission I did, though – I was hoping that buying a couple of orbs guaranteed to contain champion shards would give me something I could disenchant into blue essence, so that I can finally upgrade my Braum shard to permanent, and they did, but not enough. I’m still about 50 blue essence short. SAD. 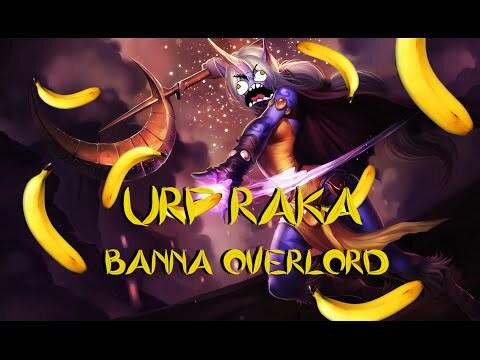 I got to experience Soraka in URF a couple of times, which was the only thing I was really excited about, and it was kind of underwhelming. Her cooldowns on her Q and W are really low anyway, and I didn’t notice a huge difference in the E and R. Having the W be on a shorter cooldown wasn’t even useful anyway because it still costs a chunk of your health. Nami, though, was amazing. I hadn’t really considered it until I played her, but yeah, she basically just has a permanent heal, which she can use on anyone, including herself. It felt really unfair, but it was still fun. We started doing some test streams and I have to say I enjoyed it a lot more than I thought I would! There is a video up on youtube now of highlights from the first week, so if you weren’t able to catch the streams, check that out here. I worried that I would just feel like I was talking to no one since no one would be watching, but that was not the case and I loved getting to interact with you guys and laugh at all of your hilarious jokes. I get input from tect all the time, and from you guys when we post blogs and videos but it was really nice to get more of that. Something that I’d like your input on are resources for beginners/new-ish players (like people of my current skill level) besides the big ones (ex. champion.gg, the actual game website, the big subreddits, etc.). It can be an entire website, a video, a specific post, an infographic – anything, really. Someday, I’d love to make a site that is like the ultimate starter website, with our own content plus an extensive list of other great resources. It would be like a hub that would organize and evaluate the huge mass of content that’s out there – a place to start that isn’t overwhelming, like a springboard. It would be the site that tells new players how to actually use champion.gg and what it’s for, for example, as opposed to me just googling it and being like ‘numbers???? ok’. And beyond that I would love to do my own stream specifically for new players, where I can show them in real time things that I’ve learned, answer questions and so on. I feel like based on my experiences I have the ability to be a good teacher and explain things in ways that make sense to people without being condescending. And someday with tect’s help I hope to have the actual knowledge, too (although let’s be honest he’d probably have to help me). I thought I might start with one page on this site that just lists resources that have been helpful to me personally. So, any recommendations so I can check them out? I know that people have recommended so many things to me over the past couple of months, but unfortunately it all kind of got lost in the sea of comments and such. Keeping up with them and responding at the time was easy, but following up on stuff like that later was not. So if you sent me something before, feel free to send it again and also I apologize for that, because I really do appreciate it! Previous Post All My Dreams Are Coming True!